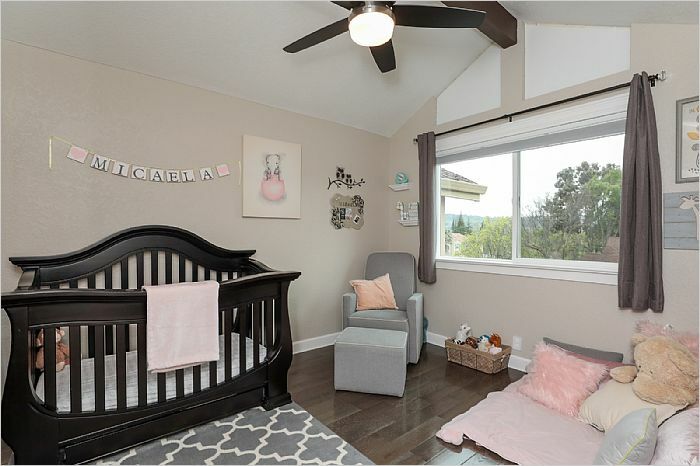 Welcome home to this gorgeous 1,541 square foot townhome nestled against the rolling western foothills less than a mile from vibrant Downtown Morgan Hill. This home offers an open floor-plan perfect for living and entertaining. 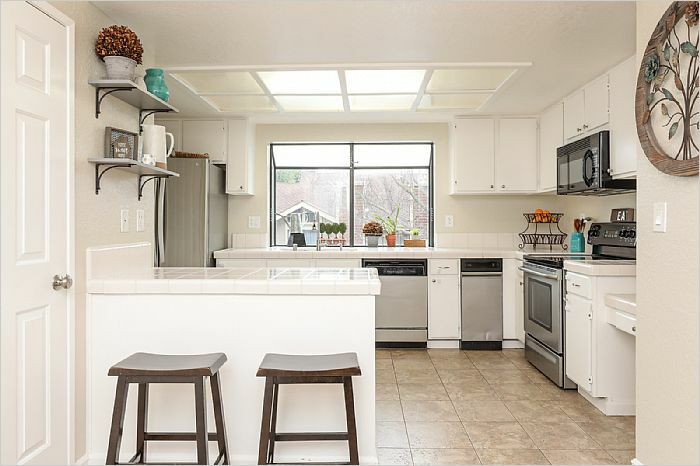 The large workable kitchen is complete with ample cabinetry, garden window, pantry and small working desk ideal for bill paying or homework. Adjacent to the kitchen is convenient inside laundry with full sized washer and dryer and utility closet. Downstairs powder bathroom is roomy and inviting. 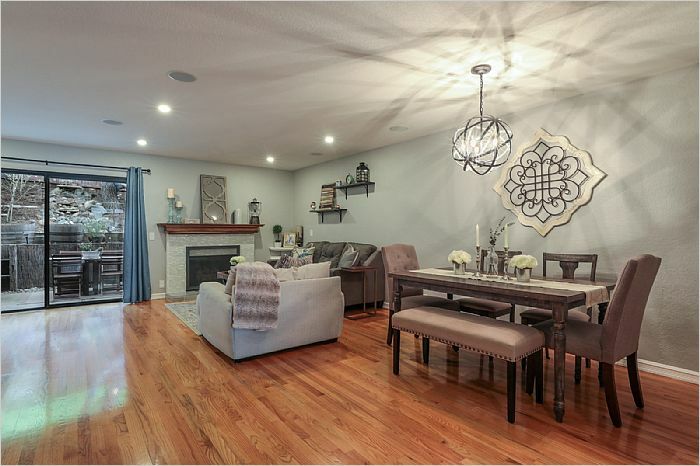 The kitchen flows into the spacious dining and family room spaces with stunning fireplace and mantle ideal for a cozy fire on a fall or winter�s night. 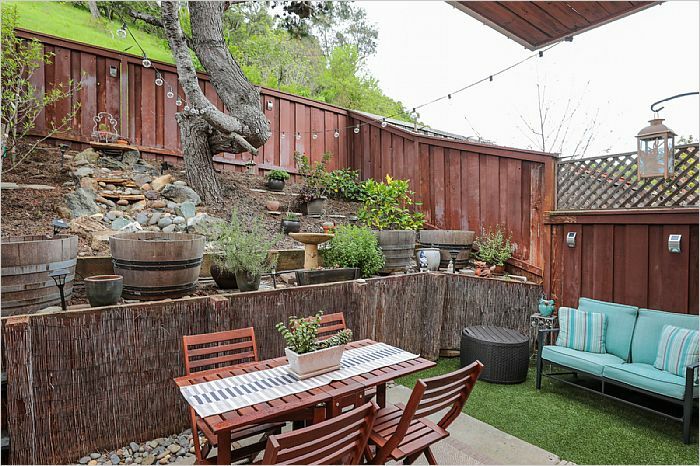 Just off the family room is a slider leading to fenced private backyard with tranquil waterfall, BBQ area, and fruit trees. There is no rear neighbor; only open space where deer and wild turkeys pass by frequently. 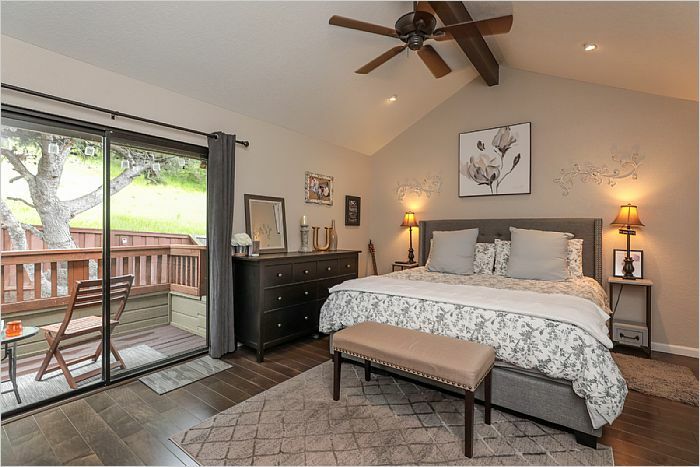 The master bedroom is more of a retreat with a balcony overlooking the unobstructed hills behind, vaulted ceiling with exposed beams and a beautifully remodeled and carefully designed ensuite bathroom with free standing soaker tub, stylish two sink vanity and sizable stall shower. The large second bedroom, also with vaulted ceiling and exposed beam, is adjacent to a full bathroom with shower over tub. 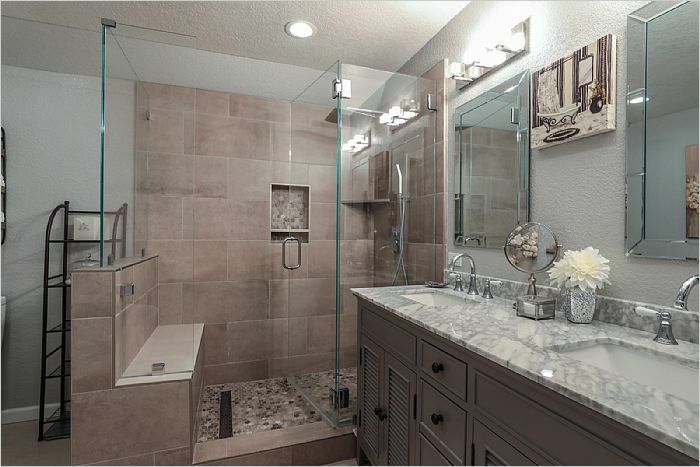 Abundant storage throughout the home and pull down access to attic space. Attached and finished one car garage. New furnace and A/C installed just two years ago for added comfort and efficiency. Walking distance to many parks, both public and private schools and public transportation. 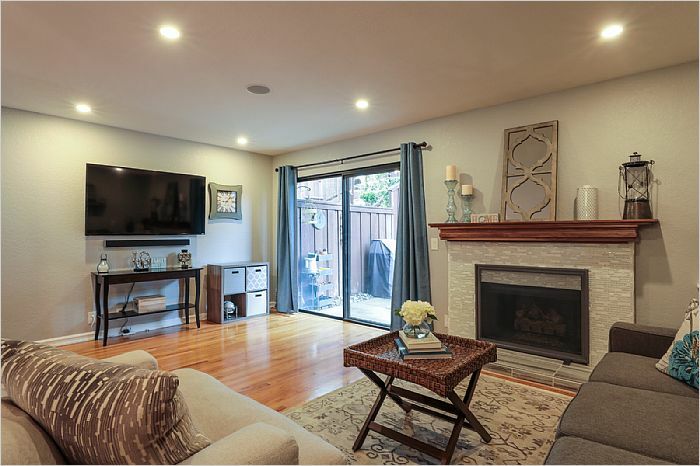 Serene quiet neighborhood on the Northside of town allows for easy access to 101 and commuting to Silicon Valley.